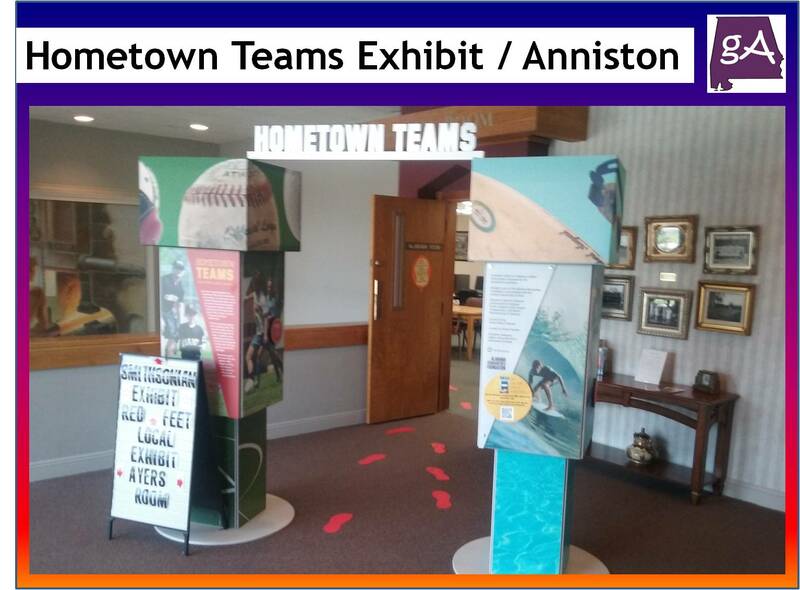 The Public Library of Anniston and Calhoun County is featuring a Smithsonian Institute traveling exhibit celebrating the role of sports and athletics in every town and city large and small across America. 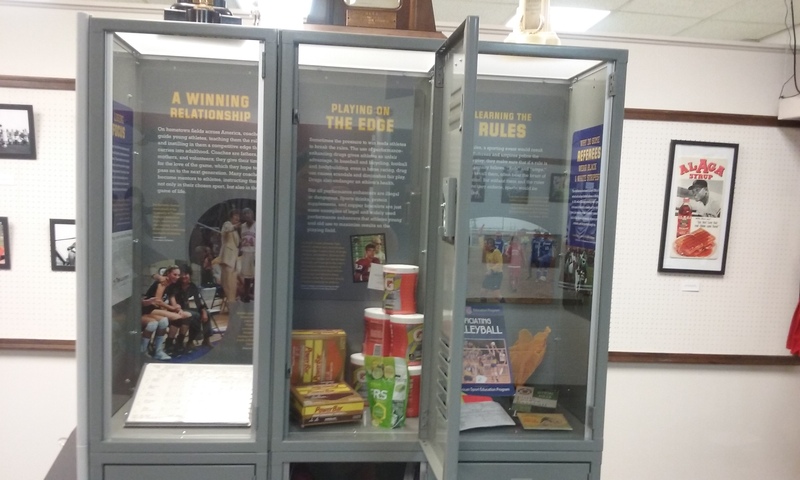 Sports has played a social and cultural role among everybody for decades, and this traveling exhibit showcases the role of sports in small town America. From playing sports among friends to playing on a team, sports is everywhere in America. 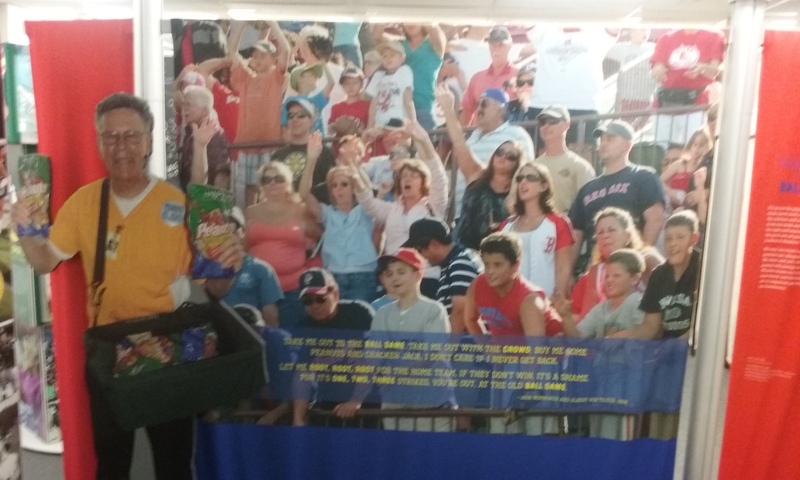 Everything from the players all the way down to the concession worker is highlighted in this exhibit. 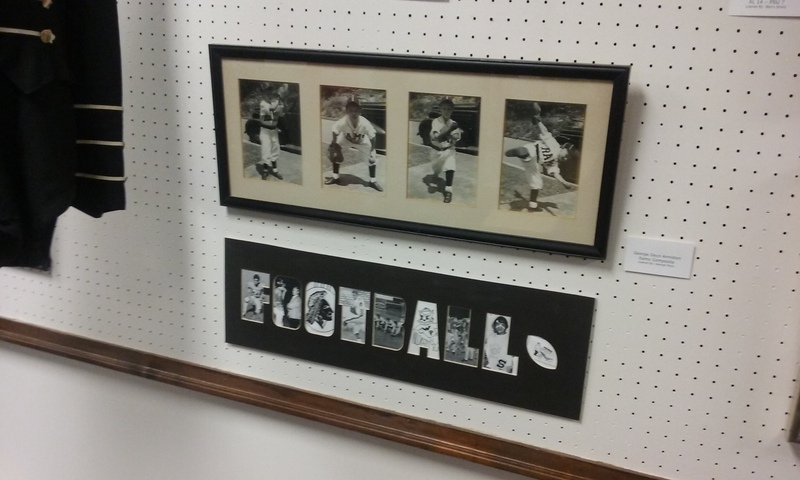 And the exhibit also features all kinds of sports played by people in Calhoun County. 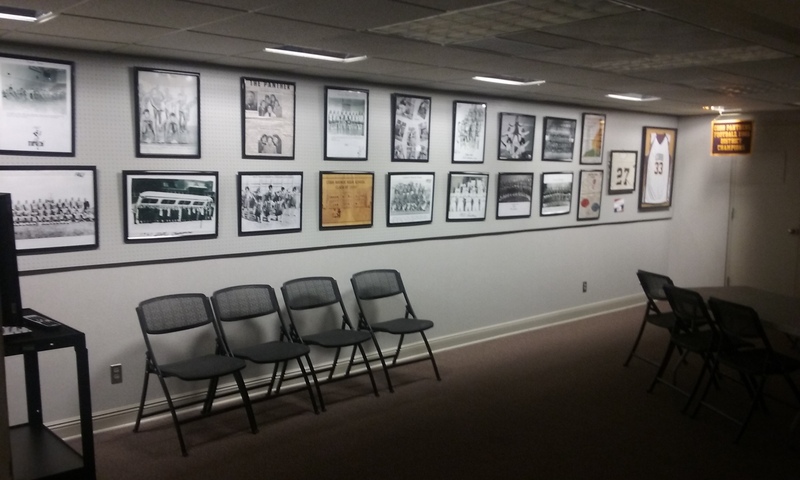 When you first get to the second floor, you can go inside the Ayers room and see pictures featuring sports in Calhoun County. There are photos from the late 1800’s to today featuring every type of sport being played in high school and college and every high school and Jacksonville State is featured. 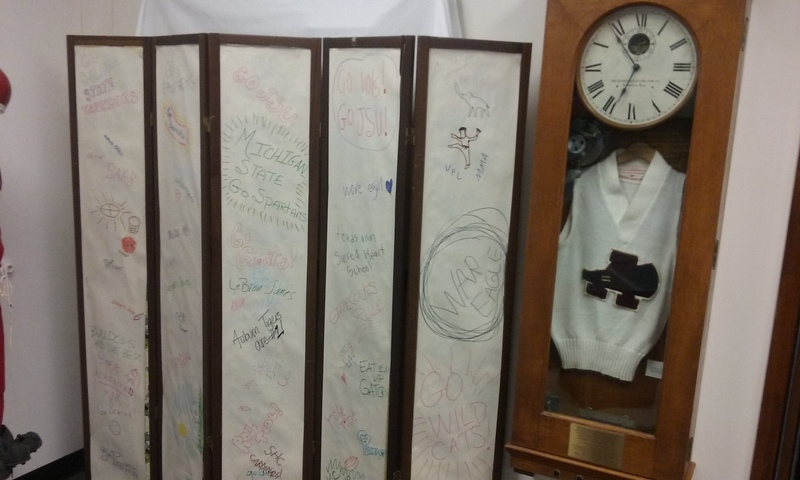 Also in the Ayers room is memorabilia from the old Cobb High School. 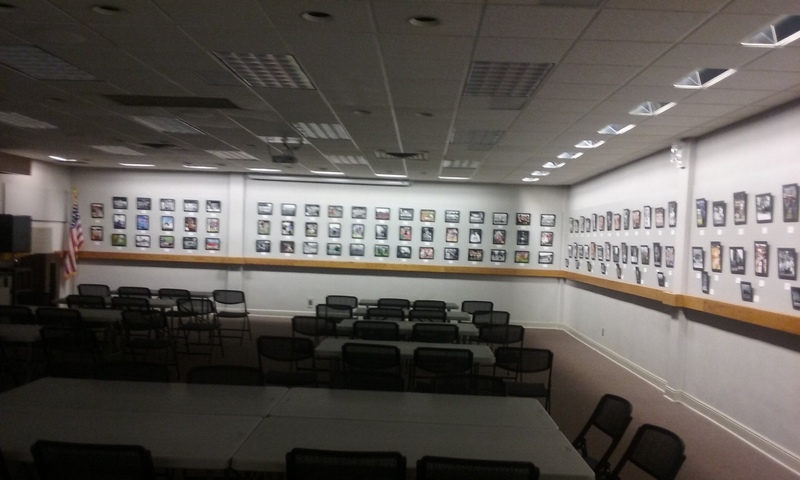 All of the pictures and jerseys come from the Cobb High Sports Museum. 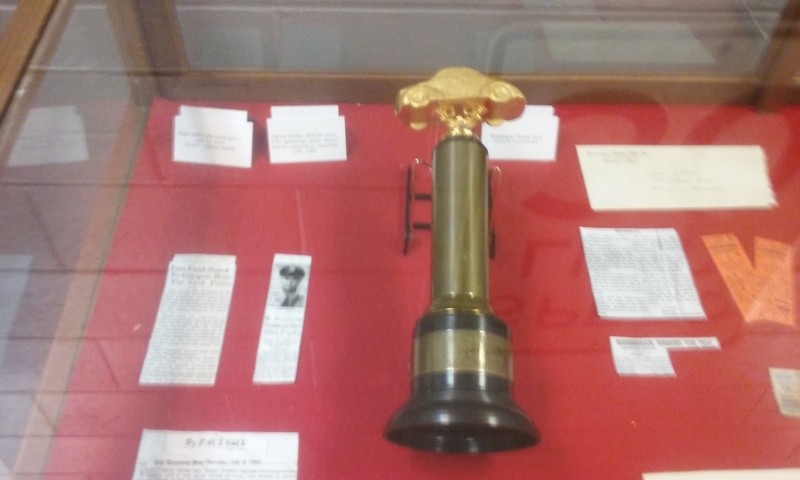 Down the hall you can also see horseshoes and classic racing memorabilia on display. 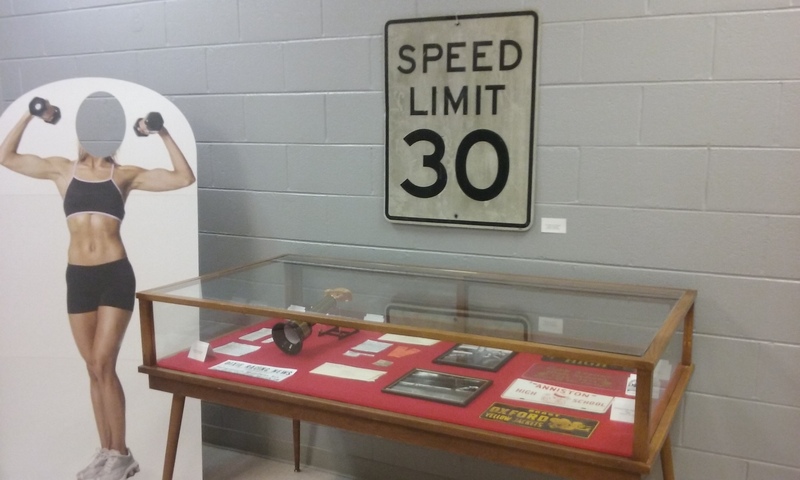 I liked the gold car trophy and the old speed limit sign! 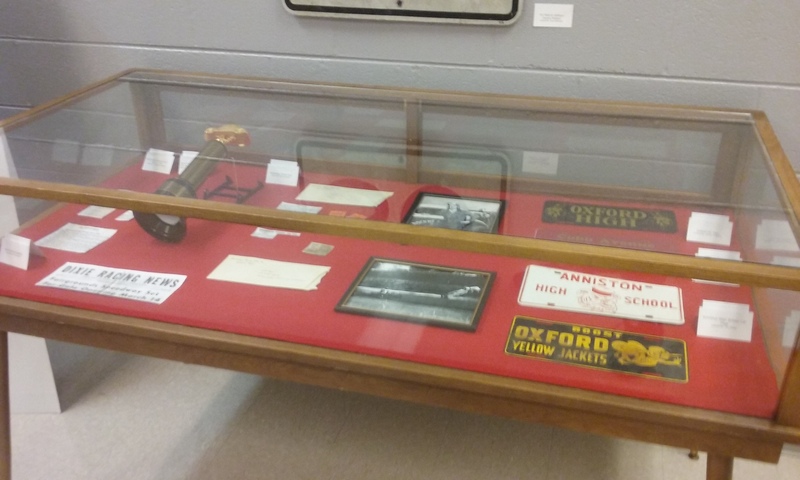 After viewing plenty of great pictures and memorabilia, you will want to see the main exhibit! 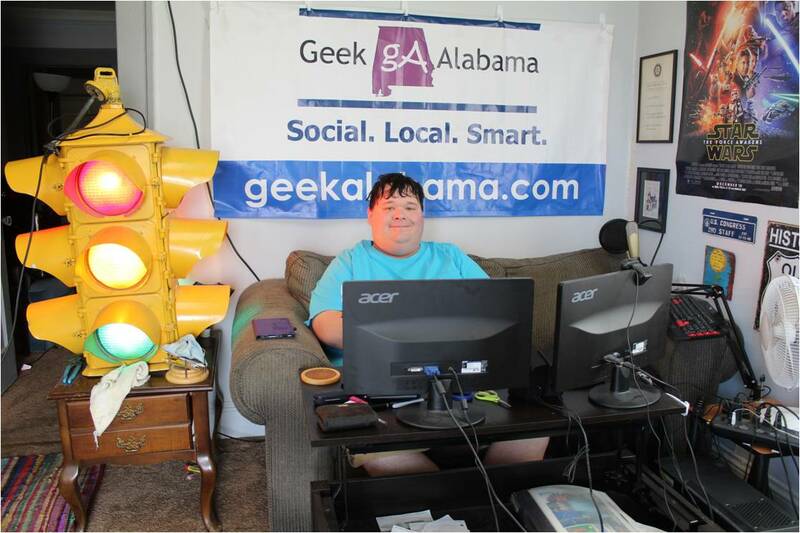 You travel through the Alabama Room and the red feet and you arrive! 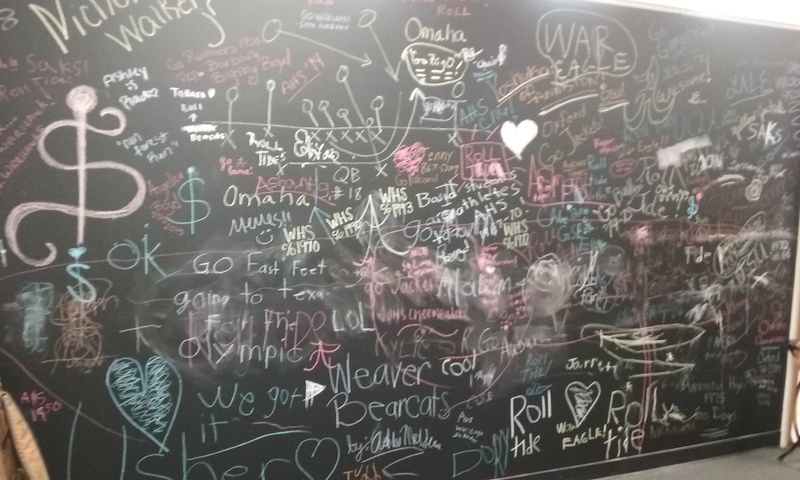 The first thing you notice is the large chalkboard filled with messages left by people. 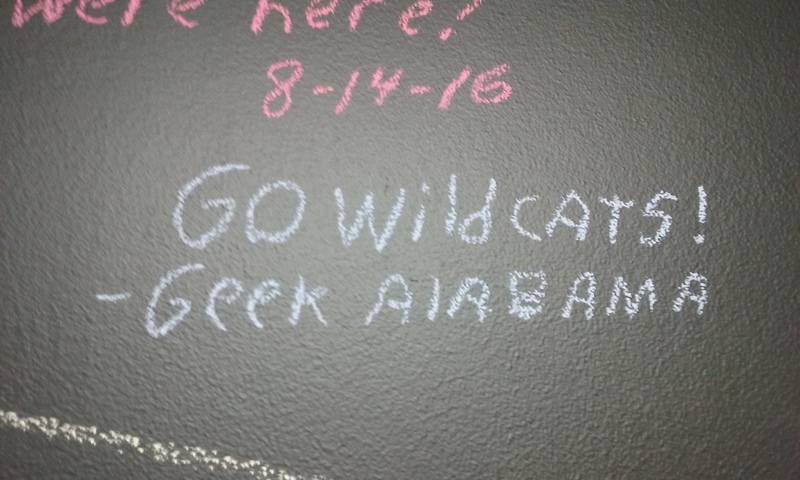 Just about every local school and the large universities have been talked about by others written by chalk on the board. If you choose, you can also leave something written behind on paper as well. Yes, I left my own message on the board. I’m from Benjamin Russell High School, the team is the Wildcats. 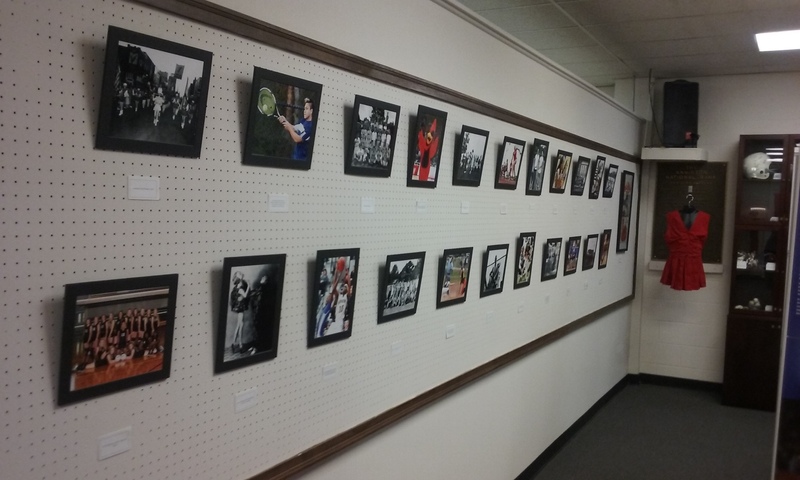 On the walls in the exhibit you see even more local pictures from the past and present of sports represented in Calhoun County. 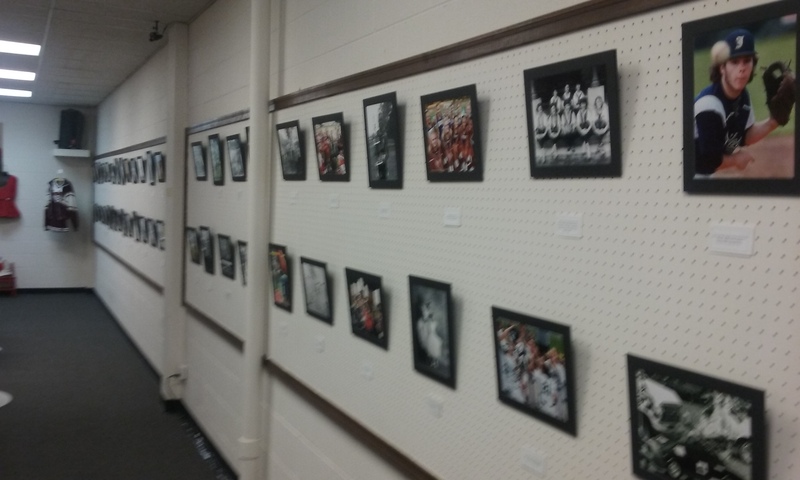 The pictures features every sport from football to swimming and everything in between. 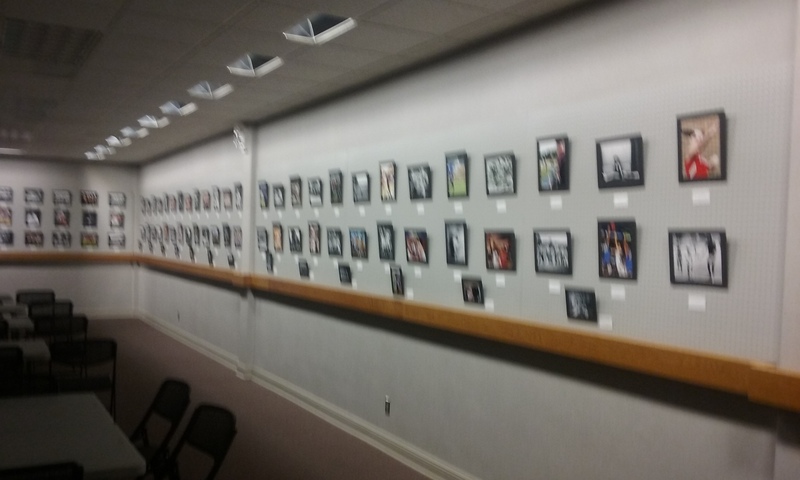 The pictures also features those who are not playing the sport, from the referees, mascots, cheerleaders, and band members. 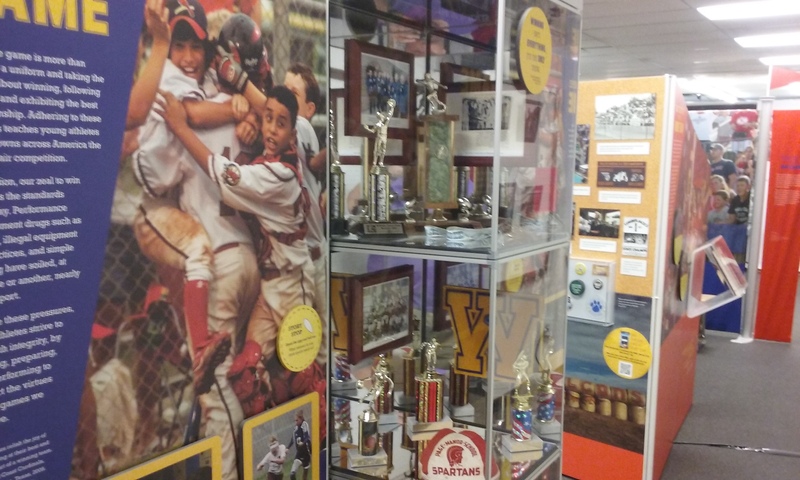 You also see several old sports uniforms on display. 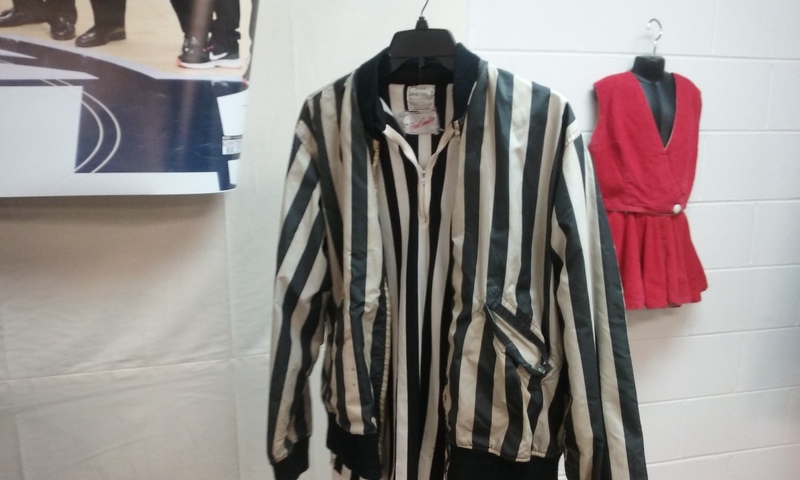 You can see a referee uniform from over 50 years ago. 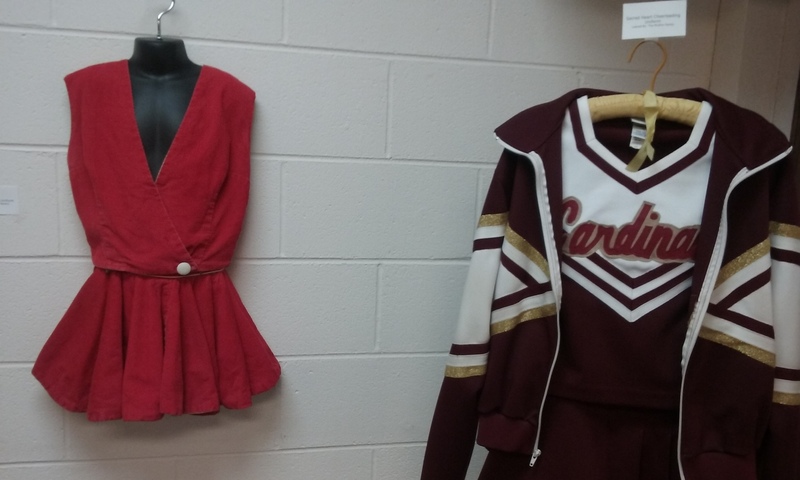 There is also an old cheerleading and dance team uniform. 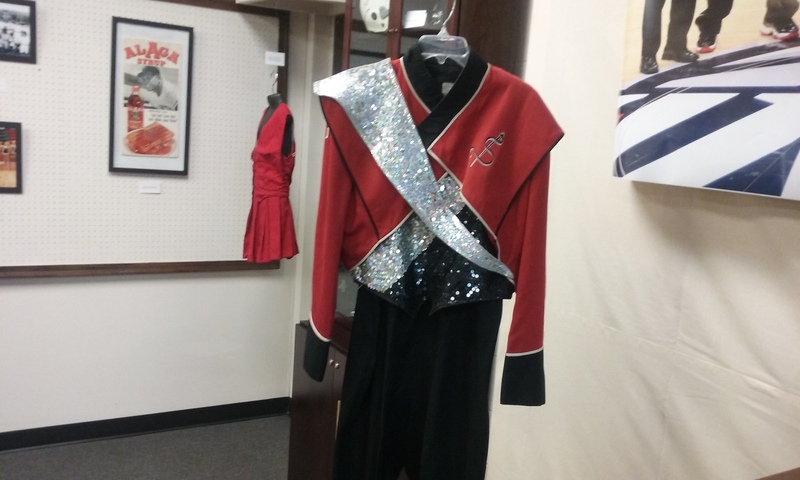 There is a classic Jacksonville State Marching Southerners uniform on display. 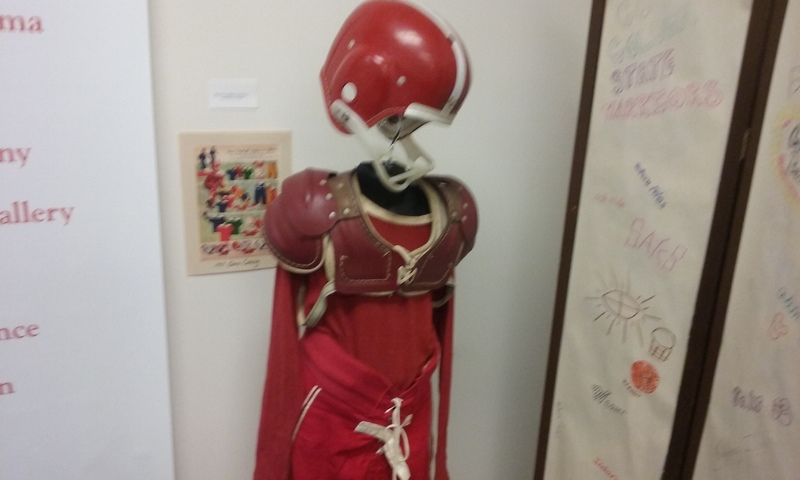 And you can also see an old young kid football equipment from the 1950’s which you could order from the Sears catalog. 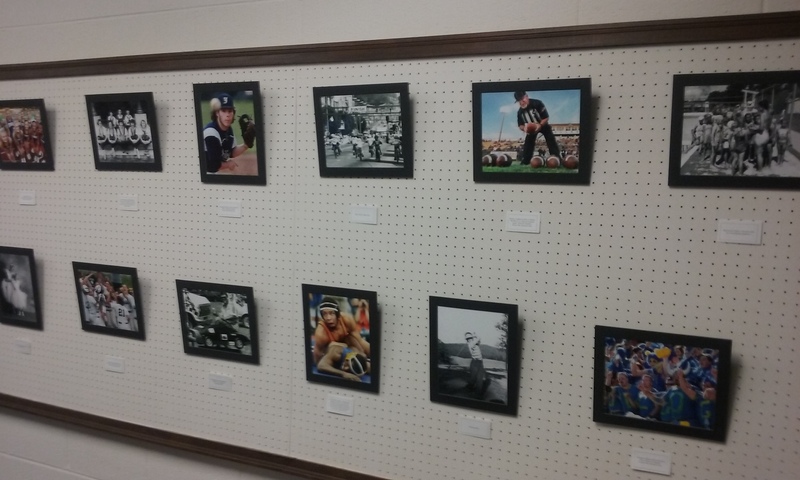 Among the pictures and memorabilia, you also read about and learn why small town sports is important across every town in America. From the role of why sports is important in the growth in kids to the role of parents in supporting their kids in playing any sport, you will see why sports is an important fabric in the culture of America. 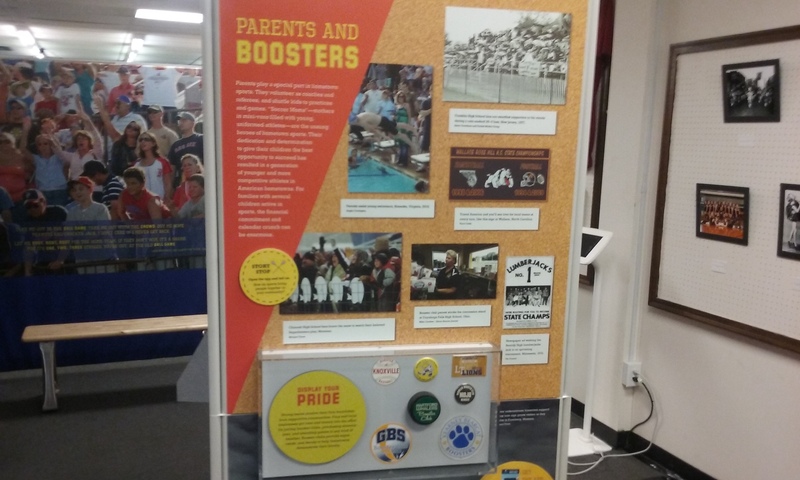 The exhibit also talks about the role of sports in adults in small town America. Many adults continue to push themselves in certain sports. 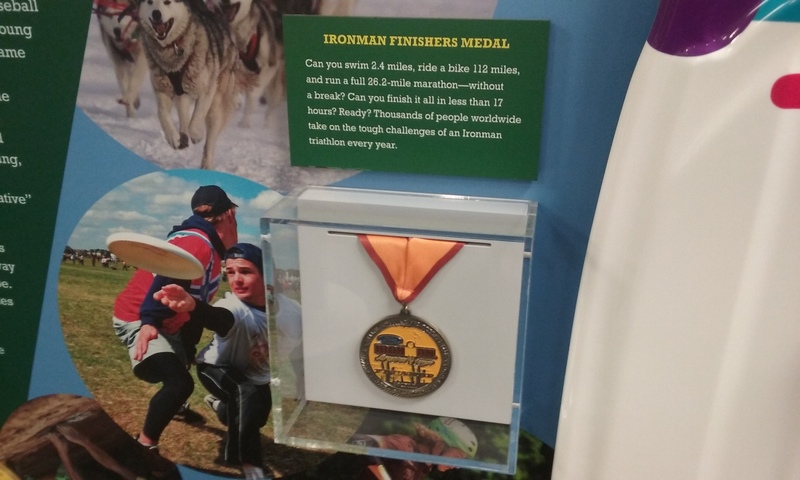 For example, some participate in the IronMan. 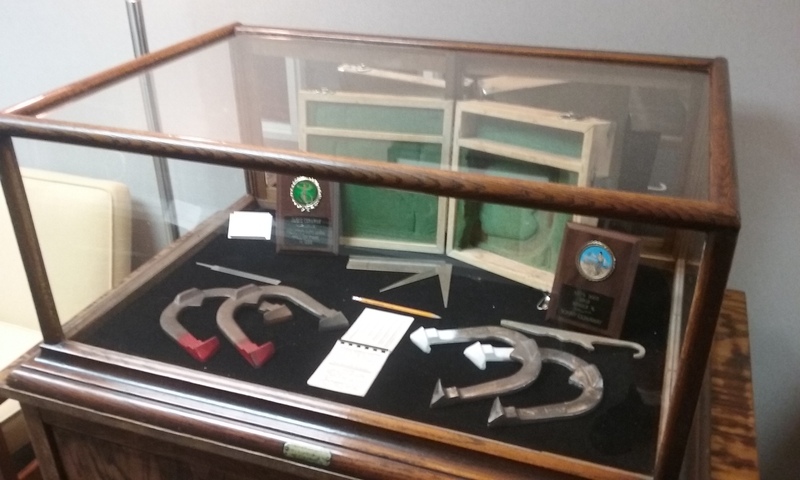 An medal is on exhibit. Adults also participate in pep rallies, going to a game, and of course selling concessions! 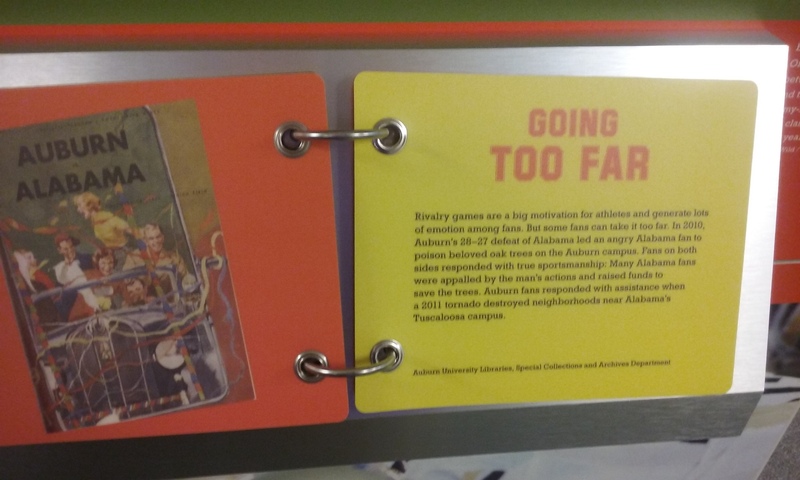 And the exhibit also talks about the role of rivalries in sports. Yes, the Alabama / Auburn rivalry is featured, along with its ugly side. 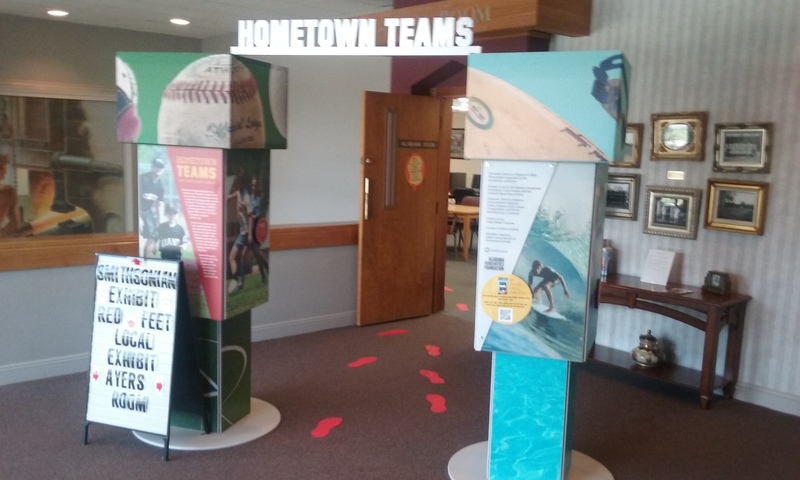 Overall, the Hometown Teams exhibit shows you every aspect of why sports is important in America. 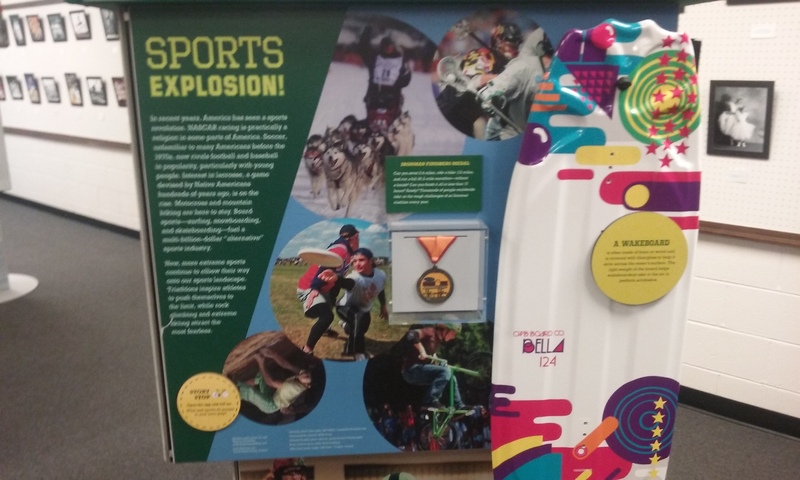 If you don’t think sports is an important part of America society, go see this exhibit and you will leave with a different view of sports big and small all across America. Sports teaches values and the rules of life in kids. And sports teaches adults that it’s just a game, and win or lose, you celebrate those giving their all. Yes, sports are a big part of what we do.